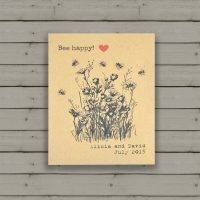 Tags: bee seeds, butterfly seeds, charitable wedding favours, seed packet favours, wildflower seeds. 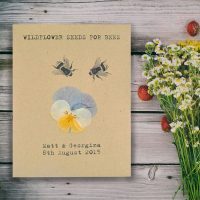 Categories: Charity Wedding Favours, Unusual & Unique Wedding Favours, Recycled Manilla Packets. We have created this Tree Aid charity wedding favour to help those less fortunate than ourselves in Africa. We will donate 20p to Tree Aid for every packet sold. Tree Aid is a charity that works to create thriving, sustainable communities throughout isolate, remote areas of Africa. The charity works with locally-based teams in Burkina Faso, Ghana, Mali and Niger and isolated areas of Ethiopia, helping communities to build skills, knowledge and self-reliance. The charity gives food all year round, with trees that can survive droughts; they help people earn an income; uses trees, land and water to protect and improve the environment; defends people’s rights to the trees and land they rely on for survival. Tree Aid is a registered charity, number 1135156. Visit their website to learn more about their good work – www.treeaid.org.uk. Please let us know your personalisation details in the box above. 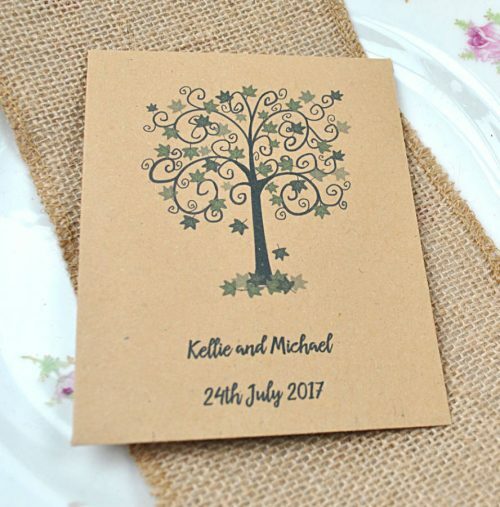 We hope you will consider supporting Tree Aid when buying your wedding favours to help people suffering in Africa.